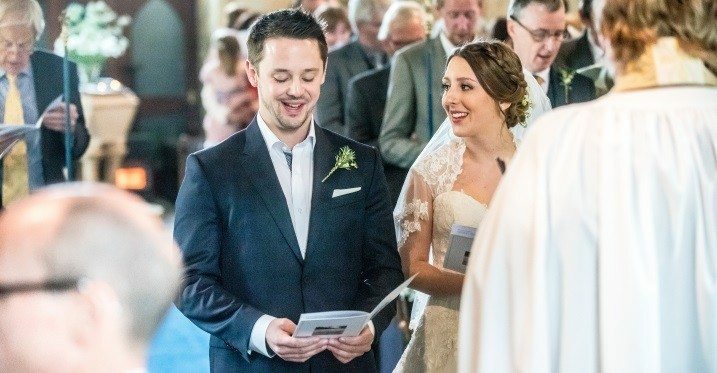 Difference Between A Traditional And Civil Wedding Ceremony? What’s the difference between a traditional and civil wedding ceremony? We hear both terms all of the time but what do they mean? Are you having a traditional wedding ceremony or are you going the civil route? Check out the quick breakdown to help you decide. The difference here is incredibly easy to distinguish between. A civil ceremony doesn’t utilize religious testaments whereas a traditional ceremony does. Basically, if it’s important to be wed within the eyes of God, then you’ll want to partake in a traditional venture. And if that doesn’t suit your needs and you want to go the strictly lawful route, stick with a civil ceremony instead. A civil ceremony recognizes that the union between the married couple is simply a contractual agreement. The bond between husband and wife meets the state’s necessary legal requirements so that the two can exchange property and share marital assets. While the wedding ceremony itself can be as romantic as the couple chooses, the law now recognizes the bride and groom as one. “The main difference between marrying in a religious or civil ceremony is that a religious ceremony is about being wed in the eyes of God (or whichever deity you believe in), while a civil ceremony is about being wed in the eyes of the law. Of course, your celebrant, be they civil or religious, must meet all the legal requirements for marrying a couple as set out by the federal government, but if you’re marrying in a church or another place of worship, there are likely a number of rules or conventions (such as either the bride or groom being a member of the faith in question) that must be adhered to, whereas civil ceremonies have fewer restrictions. Naturally, this is understandable, since it shouldn’t be forgotten that, as beautiful and atmospheric as many churches etc are, the fact is, they are, first and foremost, places of worship. So, the actual marriage ceremony is seen as a sacred, holy ceremony, to which the faith’s customs must apply. “Traditional Weddings follow a religious or cultural tradition. Traditional Weddings generally take place in a church or the place of worship suited to your beliefs, and led by a religious head. This ceremony includes readings from the Bible or religious text, and traditional marriage vows. With modern or contemporary weddings, you don’t have any real restrictions or limitations. You and your partner can choose every detail including the Wedding ceremony venue, theme, vows etc. 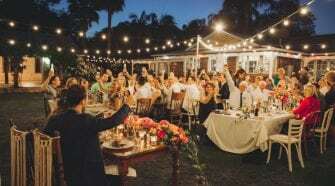 As modern Weddings are typically non-religious in nature, they can take place in any location such as a garden, park, hotel, beach, art gallery – basically anywhere that you wish or can afford. 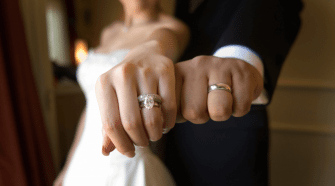 Can I Have My Wedding Ceremony Before I Get My Marriage License? Where Should We Put The Rings During The Ceremony?